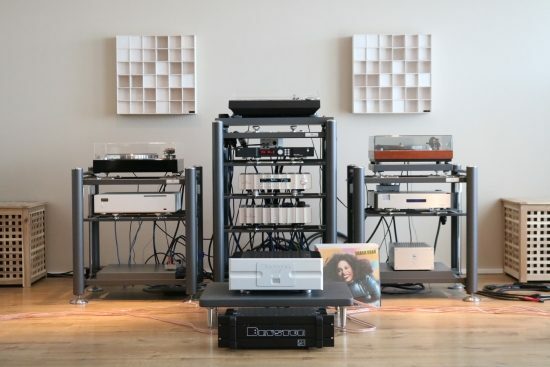 After having spoken with Hein van der Klaauw of Mafico at the X-fi audio show about my experiences with the Bryston 7B ST and 3B ST and being curious about the differences with the SST3 “Cubed” series, he was more than happy to supply review samples. Although it is widely agreed that the bigger 4B is preferable over the 3B, I still own an old 3B ST myself, and as this would enable a direct comparison I requested not only the 4B but also the 3B. Harry Meeuwisse of GloriousSound was kind enough to personally deliver the 4B Cubed and later the 3B Cubed as well. This is why the first part of the comparisons involve the 4B Cubed, and the 3B Cubed impressions are added later. To properly top it off, Hein would later also bring the 14B Cubed. The Brystons arrived in an interesting period. 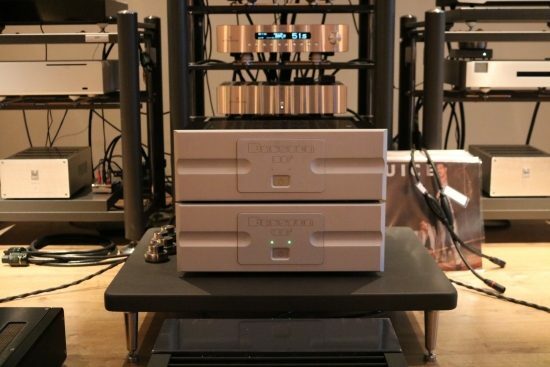 I had just sold my Apogee Divas as well as my Jeff Rowland model 6 amps but retained the Duettas. Instead of the Divas, I had just collected a pristine used pair of Wilson Watt/Puppy 8, but I did not yet have a new power amp. So, this was the perfect occasion to also check if one of the Brystons was perhaps a candidate for me personally. I won’t spend too many words on the technical aspects, as I always feel that it is about the sound, not the specs. 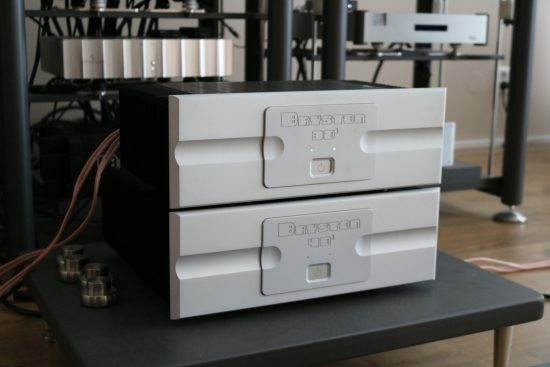 Suffice to say that all Bryston products are built to be as sturdy and reliable as possible and to have as little distortion as possible. Bryston is the only company that I know of to offer a whopping 20-year warranty on their products! With the introduction of the SST series, the internal layout, as well as the faceplates, were changed and I have to say that I really like the new look. It’s classy with just the right balance of no-nonsense quality and high-end appeal. Starting with this series, the amps are no longer called ST or SST, but are referred to as “Cubed”. The SST3/Cubed series takes the SST2 circuits as a starting point but adds refinements that have further reduced noise and distortion. According to the manufacturer, this has led to a sound that reveals more nuance and subtlety than ever before. Finite Elemente Cerapucs (shown top left) normally make a component sound more articulate and precise, but with many amps this effect is not very large and with the Brystons the difference is only minimal, so besides the amps being cost-effective themselves and not being terribly receptive to power cord influences, this further saves on cost! Above: Bryston 3B Cubed on top of 14B Cubed and below: Bryston 3B ST on top of 3B Cubed. 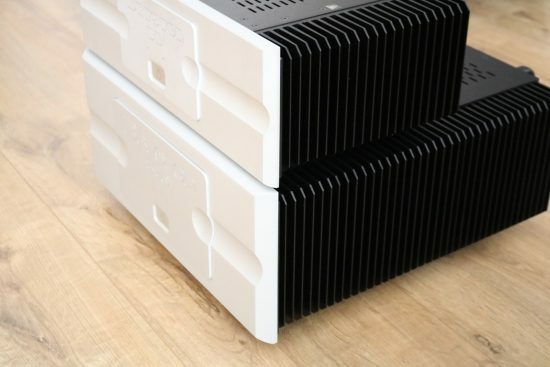 Note how not only the front panel and heat sinks have changed style, but the new model is also deeper. 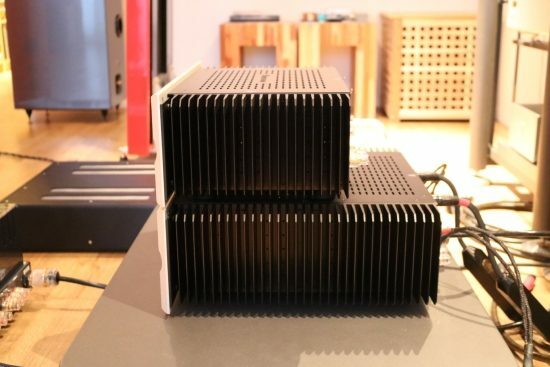 After having heard what seems as only seconds of a single track with the 4B Cubed I can already confirm that Bryston was not exaggerating about the increase in nuance and subtlety: the Cubed amps really are on a whole new level! Music lovers around the world have always respected the brand and those who used them coveted their neutral sound, their power and their big bass. Then there were of course the people who thought that the Brystons surely could not be regarded as high end. Well, already in the ST period I thought that those people were mistaken, for the amps might indeed double as PA equipment but never sounded harsh or otherwise offending in the context of a home audio setup. Rather, they provided a just as powerful but very cost effective alternative for much more expensive “boutique” high-end amps. When I owned the 7B ST monos I was always very fond of their effortless presentation, their natural timbre and the way that they could really party, a little forward perhaps, but without ever sounding offensive. 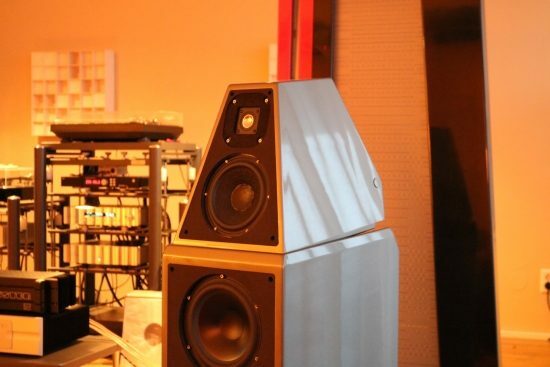 When I used Martin Logans and later Magnepans I could hear that there were amps with more subtlety, airier treble and better soundstage layering, but in terms of musical pleasure, I had no complaints. As part of a period of system simplification, I briefly owned a McIntosh MA6900. 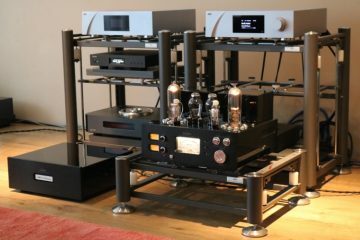 It occurred to me that that brand always had a lot of audiophile attention, and I really liked that amp too, but I have to say that it had a lot in common with the Brystons. As I was entering my smooth and super-refined period I ultimately went with Jeff Rowland model sixes and sold the Brystons and McIntosh. 10 years passed, and here I am, having sold the sixes, and with a couple of Brystons again! This time, the amps pack A LOT more subtlety, and really should be taken very seriously by music lovers and high-end enthusiasts alike! 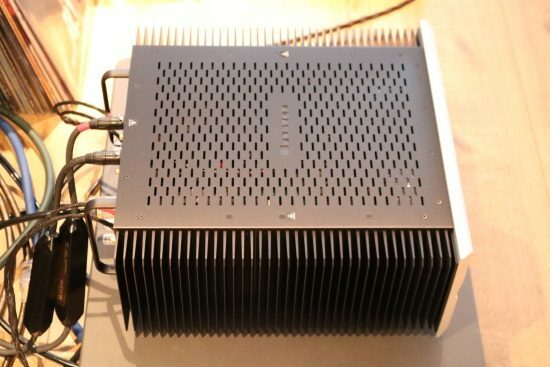 Bryston claims that their amplifiers’ Quad-Complimentary output mimics the characteristics of a class-A design but with dramatically lower distortion. This sounds like typical advertisement talk, but while I cannot comment on the distortion part, I have to say that the Cubed amps do sound similar to some of the Class A amps that I used. 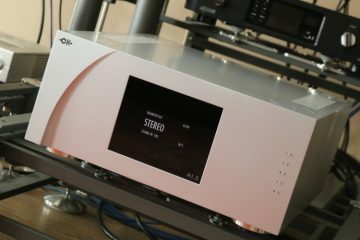 For example, they are much more similar than different to the class A Pass Labs amps that I reviewed not too long ago. In retrospect, the old ST series did sound a little “square” and forward, but not harsh as many would have you believe. Some other amps may well have sounded rounder, hence more forgiving, but that’s not the same as being more neutral. Although labelled “Cubed”, the SST3 series definitely sounds completely smooth and rounded. They are less forward in the midrange and have less of the all-out party mode going on than the old ST models, but are so much more relaxed and refined for it. 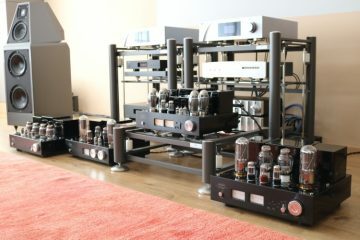 Importantly the bass, arguably Bryston’s most famous quality, was great with the older products and is still great now. 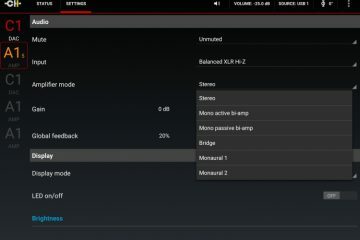 The interesting thing about the new sound is that it is smoother and warmer, yet still comes across as completely neutral, and with a refinement and low-level resolution that leaves nothing to be desired. The most amazing quality perhaps is in the treble, which is supremely subtle and decidedly non-edgy, even with the most critical speakers. Brystons are bass champions, this is well known. If not super-fast or super-articulate, is Bryston bass perhaps a little too big? Yes, maybe it is, but that’s part of the charm! 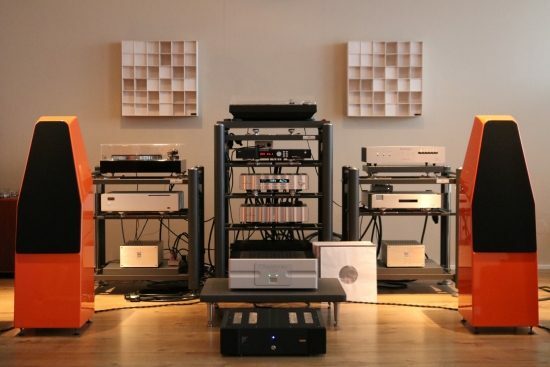 Isn’t that why you are buying a Bryston? To get that honest, powerful, generous yet full-bodied sound? The 4B Cubed has the kind of sound that makes small speakers sound bigger while making big speakers sing. It is never in the way, and apart from always sounding rich and smooth, it does not impose an obvious character on the sound. The 4B Cubed is much more relaxed and a lot more sonorous than the old 3B ST and while not as fast as the Rowlands were, it is also definitely not slow. It is smoother and more relaxed for sure, but getting goosebumps playing an old Nina Hagen record clearly demonstrated that it most definitely still rocks! Some amps seem to be really dragging the speed as if driving a car with the handbrake on. This is not at all the case here. Instead, the 4B Cubed’s rhythm is just right. I like how it takes its time to develop generous timbres and have decays linger on nicely yet avoids sounding slow. The Apogee Centaurs are merciless speakers, and that’s why I should include them in spite of them being 26 years old by now. 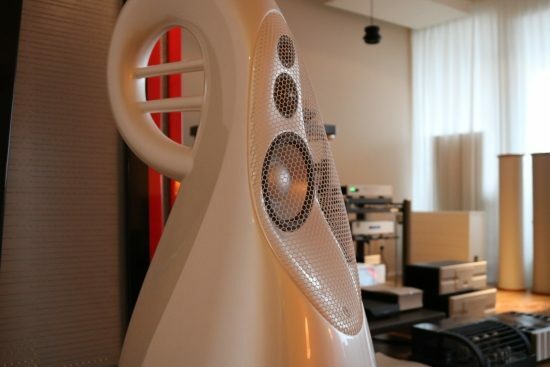 That these speakers are so revealing also tells a lot about the quality of a connected amp. As I have used these speakers a lot lately with the Bryston 3B ST I can attest to the fact that the old amp lacks resolution and is a little loud in the midrange but definitely does not sound aggressive. Believe me, if it did, the speakers would have let me know. Switching to the 4B Cubed, however, does make for an impressive transformation. The 4B Cubed is more sonorous and tonally fuller than the old 3B ST, with a richer timbre. It is also more relaxed and has a more bloomy midrange, which makes it very forgiving in spite of its high resolution. The 4B Cubed might seem like overkill but it makes the Centaurs’ relatively humble woofer produce deeper bass than ever before. Importantly, although the Centaurs are really revealing in the treble, they portrayed nothing but pure, sweet treble from the 4B Cubed. The Rowland sixes have worked just fine with the Duettas but in retrospect never exceedingly so. With the Duettas, and the Divas even more so, there was always very good refinement and soundstage layering, but less so the sense of listening to real live music. 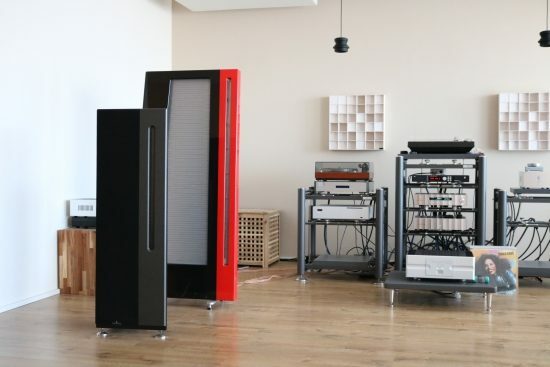 Also, while the Centaurs and their small enclosed cabinet woofer lack the deepest bass but always sound propulsive, the full range Apogees go much deeper and sound a lot more full-bodied. However, unless driven properly, full range Apogees can also sound a little woolly and can lack drive in the midbass. 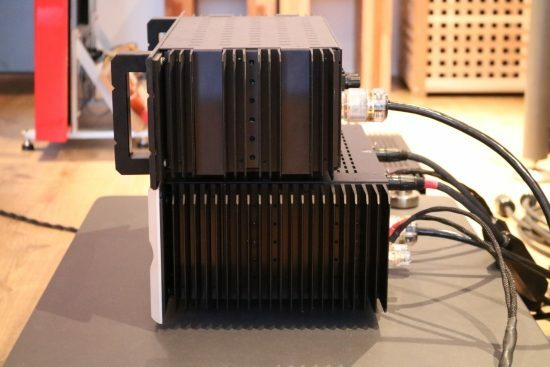 This is something that all full range Apogees do, and it takes a very powerful amp, or rather a well-controlled or lively sounding amp, to make this work well. This is not just a matter of pure muscle as I’ve had power amps capable of insane current delivery but still sounding very thick and slow. Not so the 4B Cubed. 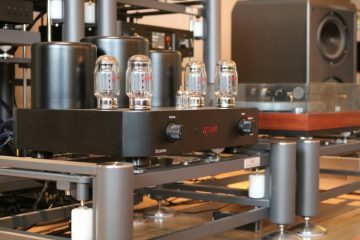 In combination with the Duettas this amp sounds full and round and glorious, and nicely relaxed yet very much in control. This is not the type of uber-control that you get with a typical switching amp with a damping factor of 1000 though, but a more relaxed, arguably more musical delivery. The 4B Cubed does not let the Duetta’s bass foils flap about, but all the notes come out with equal strength and yet the bass feels natural and free-flowing. With the Wilson Watt Puppies the 4B sounds upbeat and involving and the amp’s warm midrange actually works perfectly well with the Wilsons’ clean nature. There is more than enough power to drive the Wilsons to insane levels, with copious amounts of well-controlled bass. It is still a smooth sound, but well balanced. There are amps that sound tighter and more articulate down below, but precious few that sound this sonorous. While I currently personally generally prefer articulation overfullness, many of my audio friends preferred the Bryston’s fuller delivery and I can’t disagree. Also once again it is clear that the Bryston performs truly admirably in the upper midrange and treble, delivering all the detail that one could wish for, but without ever agitating the Wilsons. These speakers are known to be a little ruthless, yet in terms of midrange and treble behaviour the Bryston might as well have been a classic Jeff Rowland, it is simply that smooth. The Bryston is so nicely powerful, and its timbre so rich and sonorous that it can be difficult to switch to another amp after listening to a few tracks. The Ayre VX-5 Twenty, for example, has higher resolution and is more refined overall, but it doesn’t have that kick to the sound that the Bryston seems to have a patent on. Although I can clearly hear what the Ayre does better in terms of audiophile parameters, part of me prefers the more generous sounding Bryston. So what if its bass is a little exaggerated if that brings more enjoyment? So far all listening and comparisons were done with the 4B Cubed. Now it is time to see how the 3B Cubed compares. Driving the Wilson Sabrina, the 4B Cubed sounds sonorous, rich and relaxed, yet completely in control. Switching to the 3B Cubed I must say that the offset is not huge, but I do detect meaningful differences. The 4B Cubed presents music in a grander fashion with a wider soundstage, richer and fuller bass and creamier mids and treble. The 3B Cubed counters with a slightly leaner yet more nimble sound. It has a more lively and pronounced midrange and could be said to sound overall a little bit purer, or dare I say more neutral? 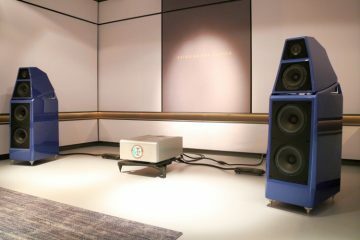 The Sabrinas sound quite smooth and warm themselves, and therefore some music sounded emotionally more intimate with the 3B Cubed, while other music benefited from the extra ballsy and rich sound of the 4B Cubed. Ultimately it is a bit like driving a big car and then switching to a less luxurious version of the same brand. The simpler car still drives perfectly, but after having gotten used to the extra luxury, you may not want to go back. That’s not to say that the 3B Cubed sounds devoid of smoothness, quite the contrary. Overall, just like the 4B Cubed the 3B Cubed is still very much a smooth performer, and it certainly has all the resolution and refinement of its larger brother. It’s just that the extra sense of copious richness and sonority is hard to resist, even if your speakers don’t strictly need the extra power. If you are most concerned with midrange purity, and communication on an emotional level, then the 3B Cubed might be a better option. 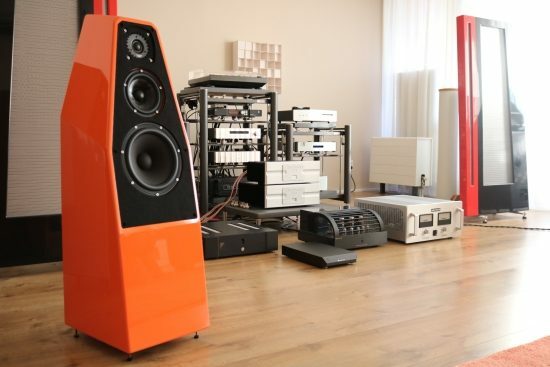 The decision between the 4B and 3B is very much dependent on the speaker, so much is clear, and this makes choosing between the two very much a matter of personal preference, not so much of absolute quality. Smooth and relaxed yet very refined and well-detailed, the 3B Cubed performs very well with the Centaurs, with excellent imaging and focus. 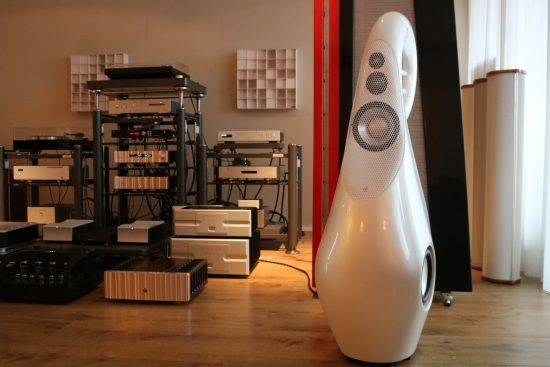 It makes the speakers sound spatially larger than ever before and extracts superb bass from them. 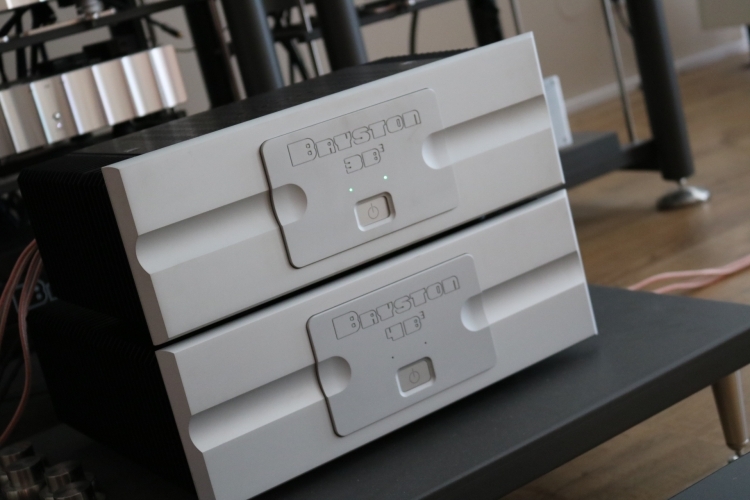 The remarkable thing about the current Bryston sound is that it is honest and revealing yet always smooth, not a combination that you often find and certainly not at this price. 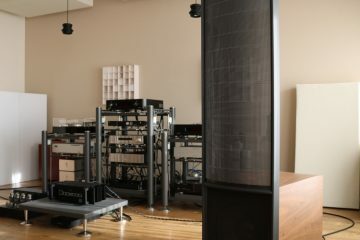 As I went with the Rowland model 6 ten years ago precisely for reasons that the Cubed series now seem to address, it would have been interesting to make a side by side comparison with the new Cubed amps. Alas as the sixes have been sold this is not possible, however, I have compared the 3B ST extensively with the sixes when I still had them. Comparisons from memory are tricky, but now comparing the 3B ST directly to the 3B Cubed and adding my experiences of the amps that came in between I think I can at least approximate how close Cubed amps come to the sixes in terms of refinement. Believe me or not but I’d say that the new Cubed series has nearly all the resolving power and definitely all the fluidity that the Rowlands had. The Rowlands were probably more transparent still and slightly airier but the sense of treble being capped with the old ST models is now completely absent. Image focus and soundstaging, another forte of the Rowlands, is now also improved immensely from the ST series, easily on par with the best transistor amps that I have heard, and that includes the Rowlands. That the Rowlands should be special in some ways is only fair given that they were 3 times as expensive then as the Bryston is now. The Rowlands weren’t perfect though, no component is, and I have to admit that they could lack drive and enthusiasm and did not have the most natural timbre, even sounding slightly “processed”. The Brystons, by contrast, have supremely natural timbre and always sound utterly lively and acoustically believable. Before the 3B and 4B review was finished, Hein called me up to ask if perhaps I was also interested in hearing the 14B Cubed, and so this monster amp was also included at a later stage. Above: you can’t really tell from this image, but the 14B Cubed amp’s front panel is also beefier than those on the 3B and 4B. 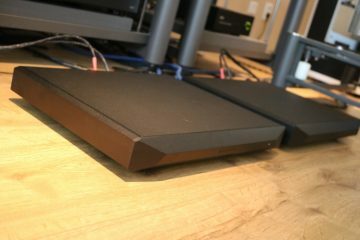 Starting with an unlikely match with Apogee Centaurs, I am greeted with a very large soundstage, smooth but clear midrange, sweet but airy treble and incredible bass! Not at all overpowered or too tight and iron-fisted, just plain great. There’s power to spare, but quite evidently the amp does not flex its muscles unless it needs to. Quite amazing is how the 14B manages to portray subtle reverbs and subtle details with all the finesse of a very low powered amp. It is also very transparent, more so than the 4B Cubed and definitely has better focus and midrange clarity. 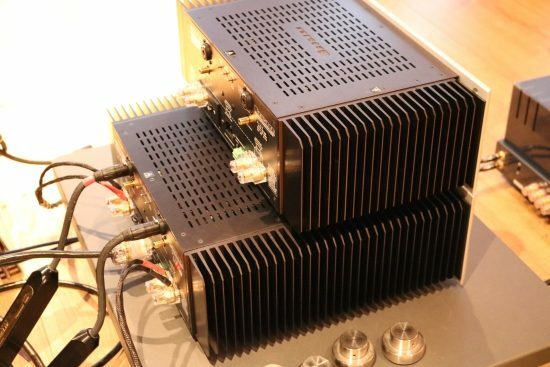 These last aspects are certainly not usual for such a big power amp. In a sense, the 14B takes what the 4B and 3B do best and combines these aspects into a greater whole. The 14B Cubed even works splendidly with the very efficient Gustavson speakers! 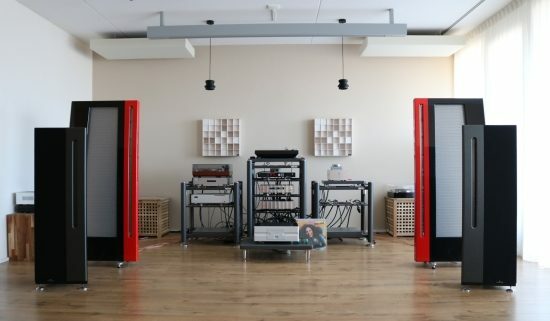 I’m sure that they don’t need all of the Bryston’s 600 watts, but out sure comes music, plain and simple. Tonal purity, great focus and agility and a very large soundstage, and none of the usual “overdrive” or smear that you can hear with some other high powered amps. 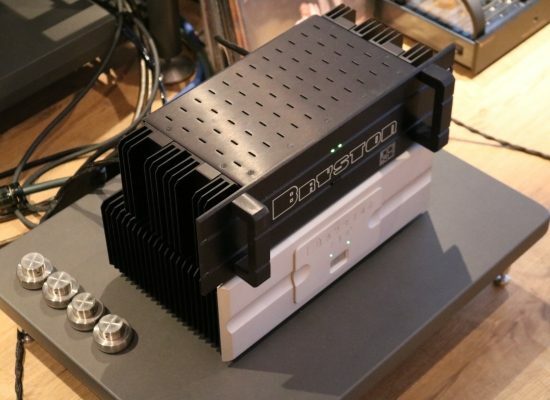 Switching from the Mola-Mola Kaluga amps to the Bryston 3B Cubed, the sound is less quick and spritely, but a lot smoother, with a considerably warmer midrange and a rich, natural timbre. Even if dynamics are not as immediate and explosive as with the Mola-Molas, or the NuPrime ST-10 for that matter, it’s certainly a pleasant sound and I can imagine some preferring this richer more relaxed delivery over the faster and leaner Mola-Molas. Comparing the Rowland 625 s2 with the Bryston 3B Cubed on the Vivids confirms that the Bryston is certainly smooth, but not as creamy as a Rowland. The 3B Cubed is more direct and although slightly less refined, definitely more live, and to these ears, more lifelike. 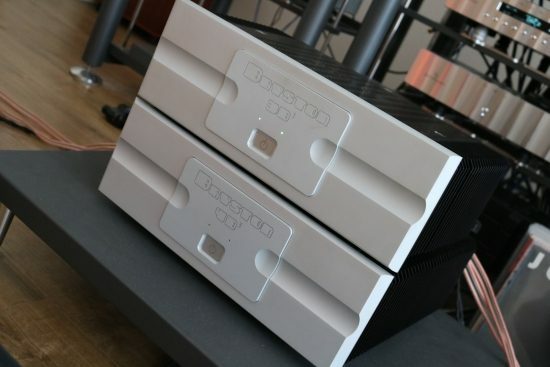 In terms of speed or pace, the two amps are very comparable, both sounding relaxed, but the Rowland with its very powerful switched power supply sound a little bit more authoritative. 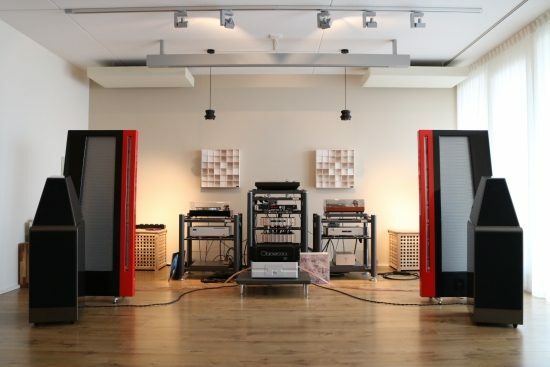 At this point, it is good to consider the price difference between these two amps: 21.000 versus a mere 5790 euro! The 3B Cubed seems easily powerful enough for the Vivids, but still, I thought it fun to try the 14B Cubed with the Vivids. 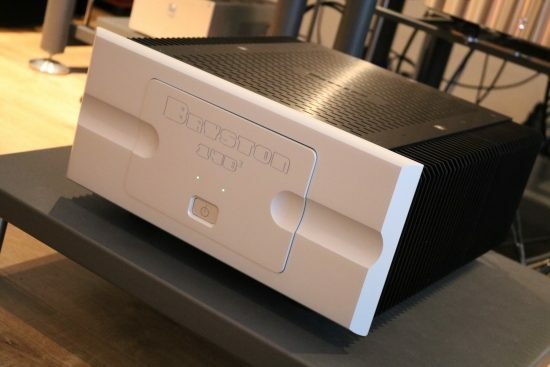 This big amp delivers 600 watts in 8 ohms which seems overkill, but along with the extra power also comes extra stability, and all the sounds flow more effortlessly from the speakers to form a larger acoustic space. Slightly less pure in the midrange than the 3B, I still prefer the 14B with the Vivids because it just sounds more effortlessly, so perhaps these speakers do require more stability than the 3B can provide? 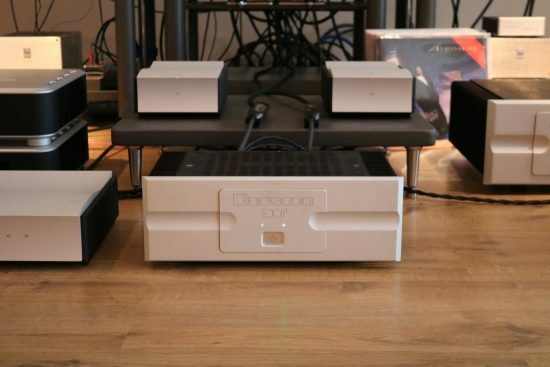 The Bryston 14B Cubed certainly brings more authority and confidence. Its midrange is a little less forward than with the 3B Cubed, but less warm than with the 4B Cubed and actually very well-balanced. In any event, fortunately in spite of its huge power, the 14B Cubed does not sound like a powerhouse, in other words, it is not any slower or fatter than the 3B. 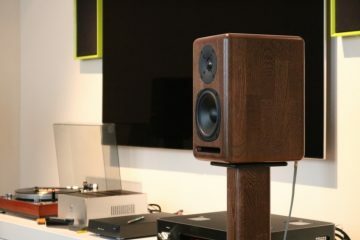 Their powerful yet rich sound will surely find new friends for the brand, but the audiophile that wants all boxes ticked (as I do), may also want the last bit of super-fine detail and transparency of which these speakers are capable and which for example the Mola-Mola Kaluga do provide. Amazingly though, knowing how extremely revealing the Vivids are, it is once again confirmed that the Cubed Brystons definitely do not sound edgy in the slightest, and have perfectly subtle, fluid and clean treble. While the NuPrime ST-10 benefits from some nice smooth sounding cables such as the current edition Transparent Super and a Cardas Clear Beyond power cable, the Bryston is smooth enough itself. It simply does not require cables to tune its sound. The Jorma Design no.3 speaker cable is not exactly cheap, but it is also not very expensive, but more importantly, it is a very neutral cable, indicating that many other cables will work just fine. The best power cable for Bryston I found to be plain and simple 2,1mm Belden 19364. You can experiment with power connectors and this will bring subtle changes. I prefer IeGO with both Brystons, but in all honesty, you can also go and buy some more music instead and just use standard connectors. The Brystons are fine either way. 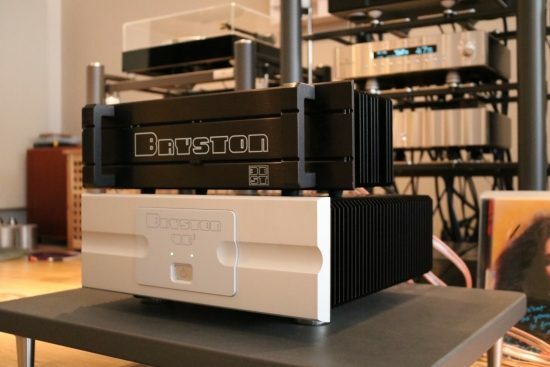 While I also appreciate the older Bryston products and their specific charms, Bryston’s latest Cubed series really has taken the sound to a whole new level. Anyone who has dismissed earlier Brystons for sounding harsh should really reconsider. The new Bryston sound is generous, smooth, rich and relaxed, yet very powerful, driving all the speakers that I tried with ease and that includes Vivid Giya G3 s2, Apogee Diva, Duetta Signature, Centaur, Wilson Watt/Puppy 8 and Wilson Sabrina. Even the very efficient Gustavsons are driven with majesty and verve. Even audiophiles with a larger budget should give these amps a listen, and they might be pleasantly surprised! This is absolutely no over-controlled, over-damped and analytical sound yet there is all the power and control that any speaker needs, along with newfound levels of nuance, focus and transparency to satisfy even picky listeners. With Bryston there just are no sins of commission. Yes, there are amps with even greater levels of transparency, faster, more articulate bass and even more resolution, but these cost a lot more and don’t necessarily sound as gloriously full-bodied and rich as these Brystons. And even after listening to some of the best amps out there, the Brystons do not disappoint on a musical level. They just sound great! 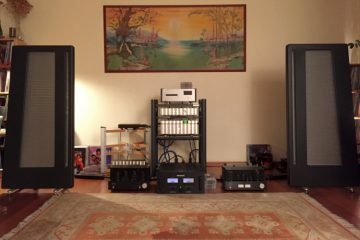 As an owner of Giya G3s, I really enjoyed reading your comparison of Mola-Mola, Rowland, Bryston and NuPrime amps on the speaker. I know the G3s are long gone from your home, but wouldn’t it be fascinating to hear them driven by your CH Precision A1s or even the A1.5? For sure, but alas, that’s not in the planning. That said, I’ve heard the Vivid + CH Precision combination before at a Munich High End show. The brands go together really well in my opinion.